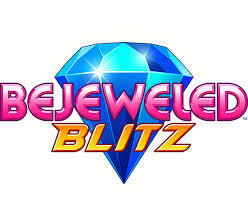 Play Bejeweled Blitz the classic Bejeweled game with a twist in Bejeweled Blitz. Match 3 gems to earn points, match 4-5 gems with one move to create special gems. Collect points and earn medals. Look for special gems and use them to gain even more points. This version of the Bejeweled Blitz game features 10 minutes of play time, rather than the original 1 minute. Earn as much points as you can in under 10 minutes and beat the top score!